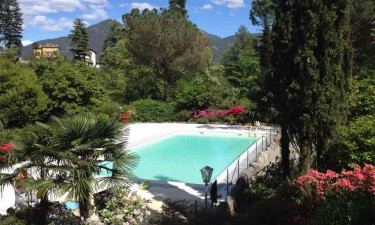 The leading LuxCamp site of Valle Romantica Campsite is situated along the banks of the picturesque Cannobino River in the enchanting Lake Maggiore region of Italy. This campsite was established in 1956 and has been satisfying the needs of holidaymakers from all over Europe and beyond for decades. The stunning natural beauty of this part of Italy makes Valle Romantica Campsite a great place to hire a mobile home to unwind in style. What makes Valle Romantica campsite so special? 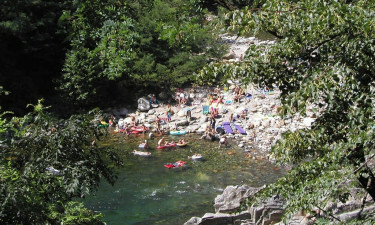 This luxury camping site is situated beside the gently flowing Cannobino River, which is the ideal spot to take part in a wide range of different types of aquatic activities. Swimming in the cool mountain water is an invigorating experience, while the water here is so clear that it is also ideal for snorkelling. Keen fishermen will find several great spots here to cast their lines, while kayaks and canoes can also be rented. Paddling along the river is an excellent way to explore while having fun. As any parent knows, keeping children amused and entertained during a camping holiday can be a bit of a battle sometimes. 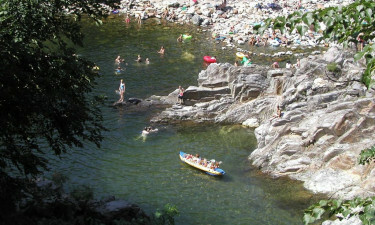 However, there is plenty for youngsters to do at Valle Romantica Campsite. In addition to having full access to the outdoor swimming pool, they will also be able to spend time in the playground, while people who rent a mobile home will find that it comes complete with a television and wi-fi access. A small sandy beach is also situated at one end of the site, where little ones will be able to have fun paddling and swimming in the water. 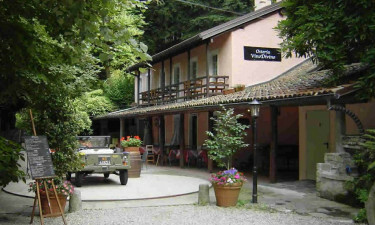 The site also makes a great base for exploring the rest of the Lake Maggiore region. The Cannobia Valley boasts a large number of excellent hiking and walking trails that are just waiting to be explored by nature lovers; the area features an abundant variety of species of flora and fauna. Hiring a bicycle from the onsite shop is also a great way to explore the area in style. At the end of the day, guests at Valle Romantica Campsite can indulge in a delicious meal, prepared by talented local chefs. In addition to popular pasta dishes, the restaurant also serves a good selection of regional specialities that are sure to satisfy all tastes.